Mustangs use depth to earn victory. 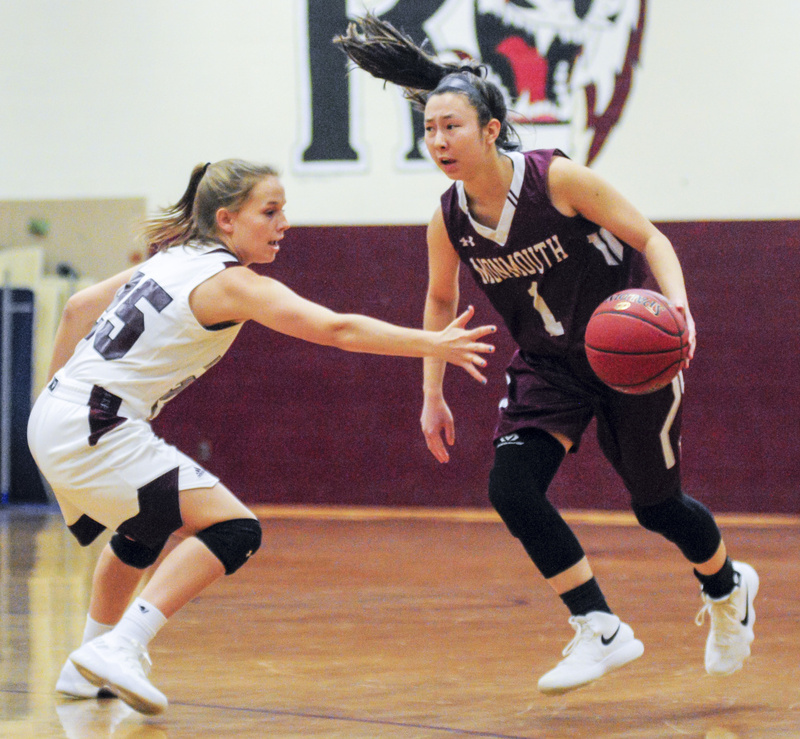 RICHMOND — Monmouth girls basketball coach Scott Wing could see his team was leading heading into halftime of Friday’s matchup against Richmond. He just wasn’t quite sure how. Behind? 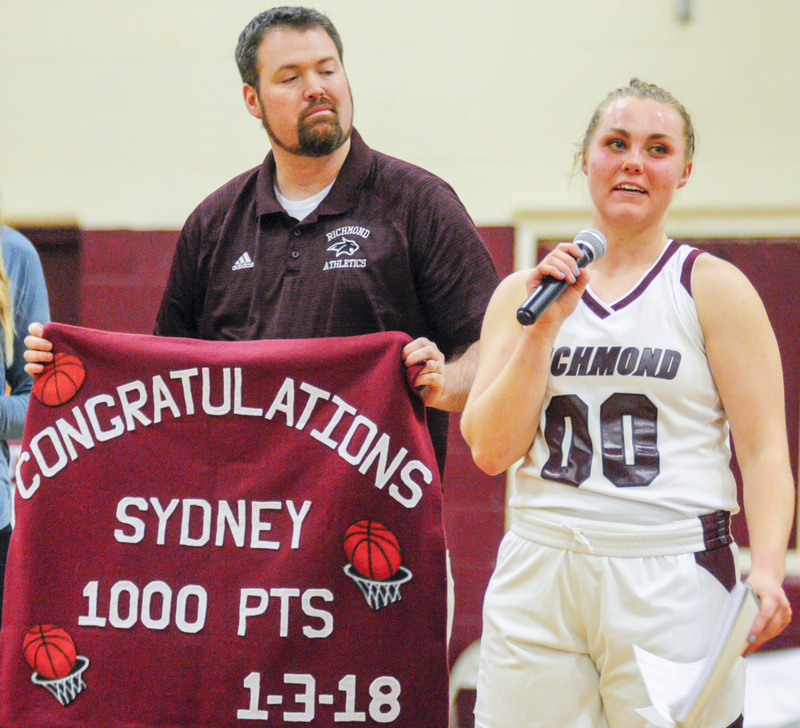 The Mustangs were just pulling away, taking command of what became a 48-33 victory over the Bobcats in a Mountain Valley Conference contest and a battle between the two teams atop the Class C South Heal point standings. 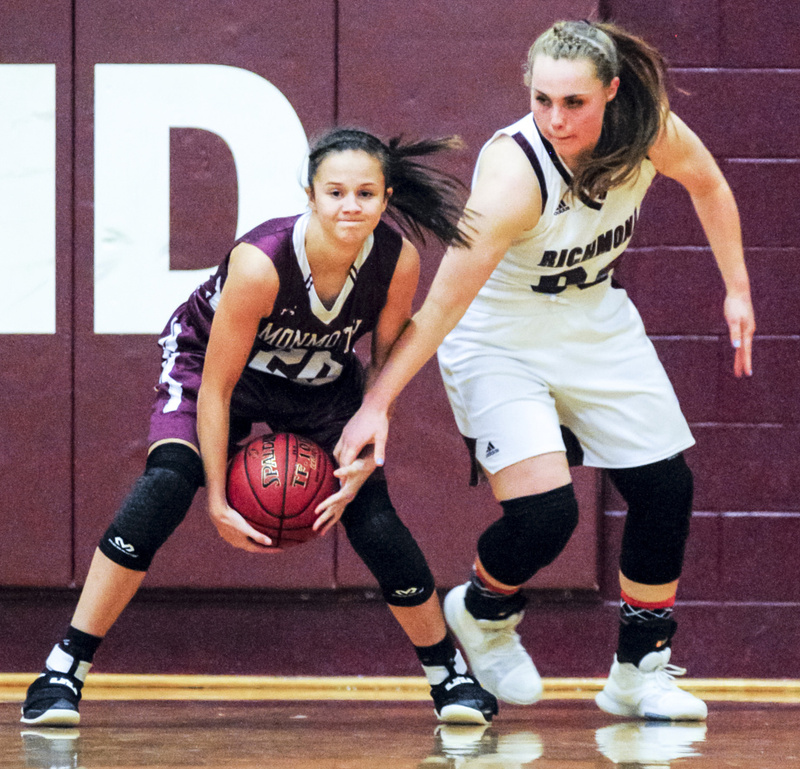 Richmond fell to 5-4, partly because it tried too much to play like the defending Class C champions. 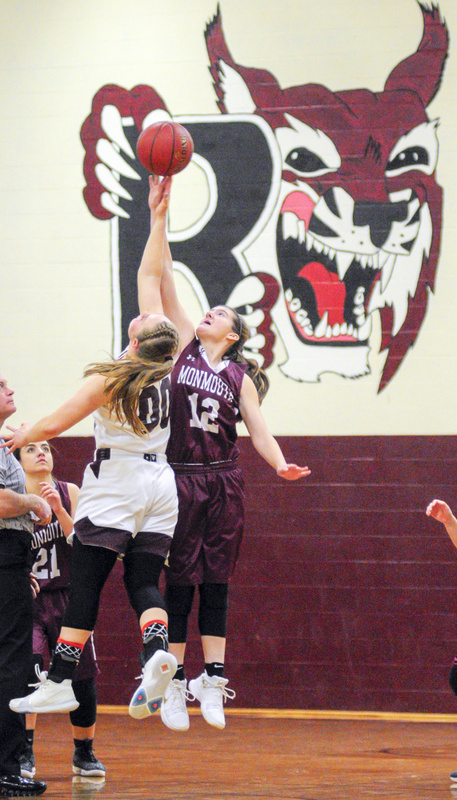 And when the game was slower, with both teams backing off defensively and matching their half-court offenses against each other, the Bobcats were neck-and-neck with Class C South’s top team, even leading 10-8 after the first quarter. 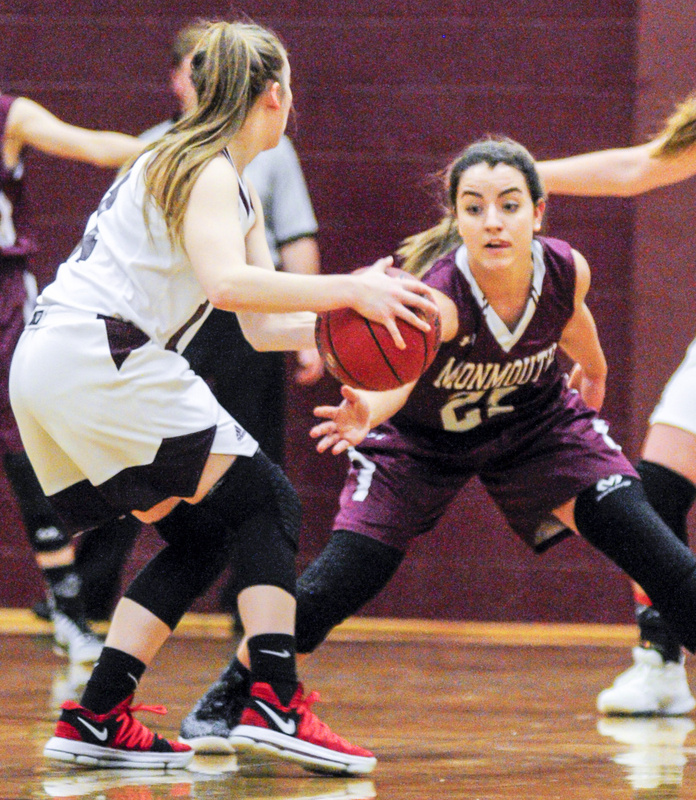 In the second quarter, however, Butterfield found her stroke and the Mustangs found their rhythm. The junior forward knocked down four shots from the field and scored 11 points in the period, leading the way as Monmouth turned the two-point deficit into a 27-20 lead at the break. Off and running, the deeper Mustangs weren’t about to slow down, building their lead to 36-26 by the end of the third and then widening the gap in the fourth. Numbers factored into the pulling away, as the Bobcats struggled to keep up. “We knew that, in a 32-minute game, we have more players than they do, it would eventually wear them down or they’d get in foul trouble,” Wing said. Monmouth also overwhelmed Richmond on the boards. Abbey Allen (11 points) and Destiny Clough had six rebounds apiece to lead the Mustangs, who at one point in the third quarter grabbed four straight offensive rebounds before Allen finished the series with a putback to bump the lead to 33-23. 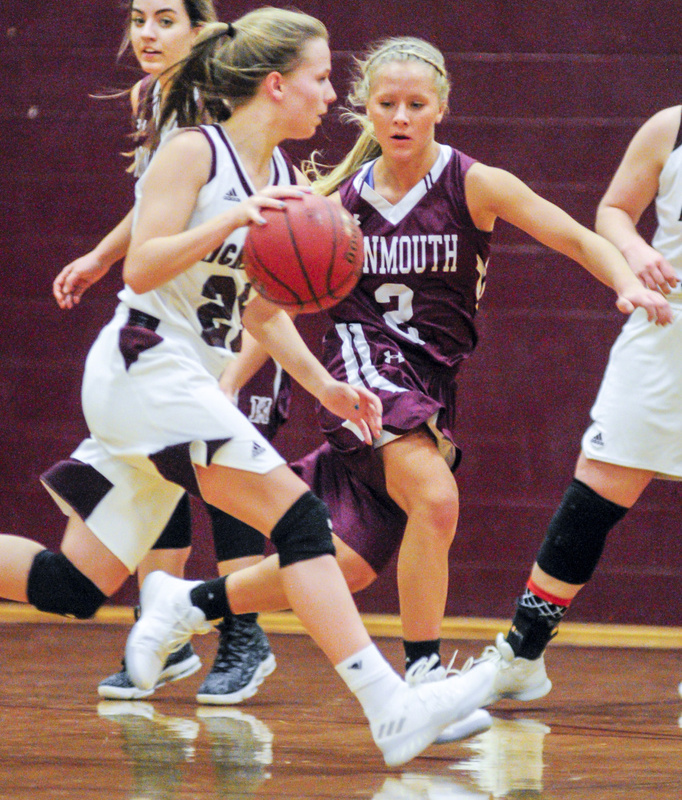 Sydney Tilton led the Bobcats with 11 points and 10 rebounds, but she managed only three points in the second half as Monmouth began to smother her whenever she took the ball into the paint. 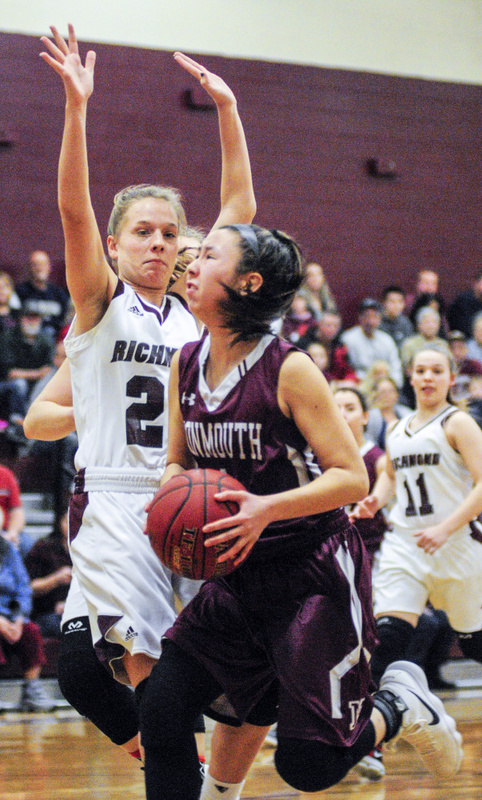 Bryanne Lancaster added nine points and seven rebounds for Richmond.